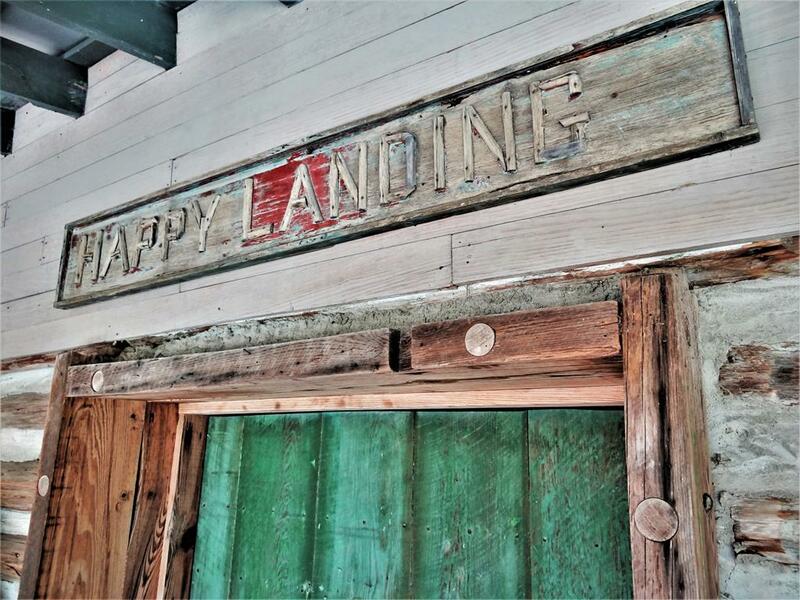 Welcome to Happy Landing on Folly Beach! 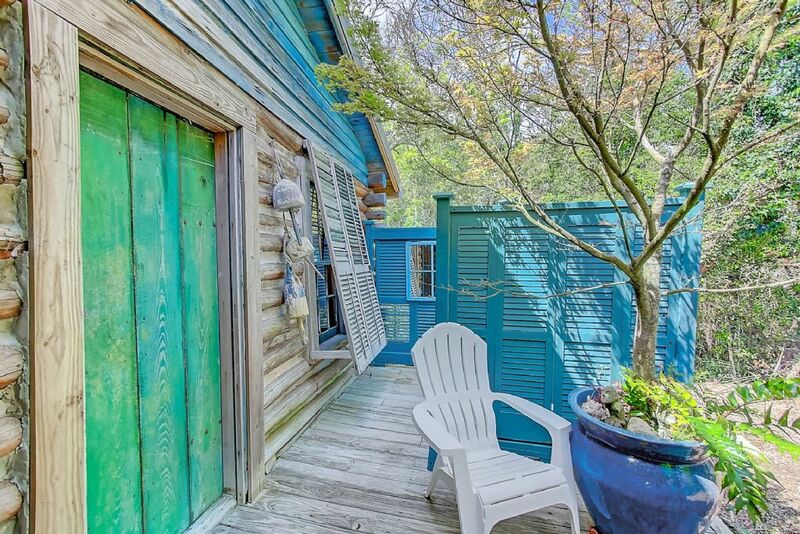 Unique home is a one of a kind find on Folly Beach. 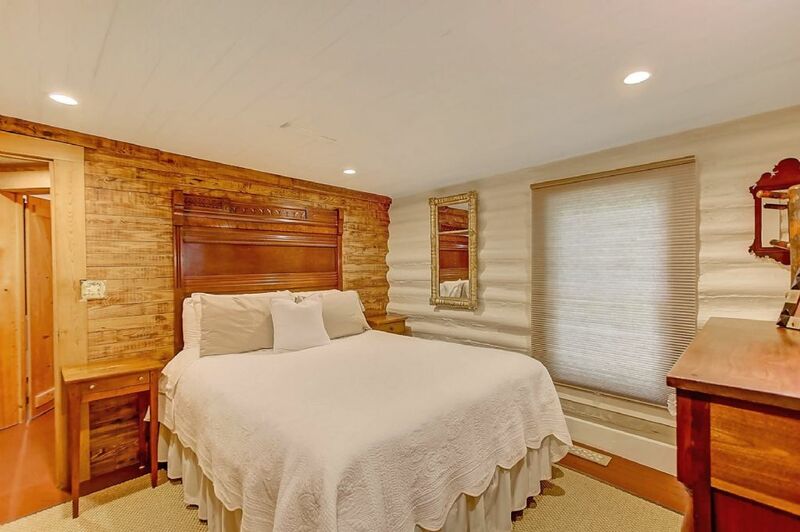 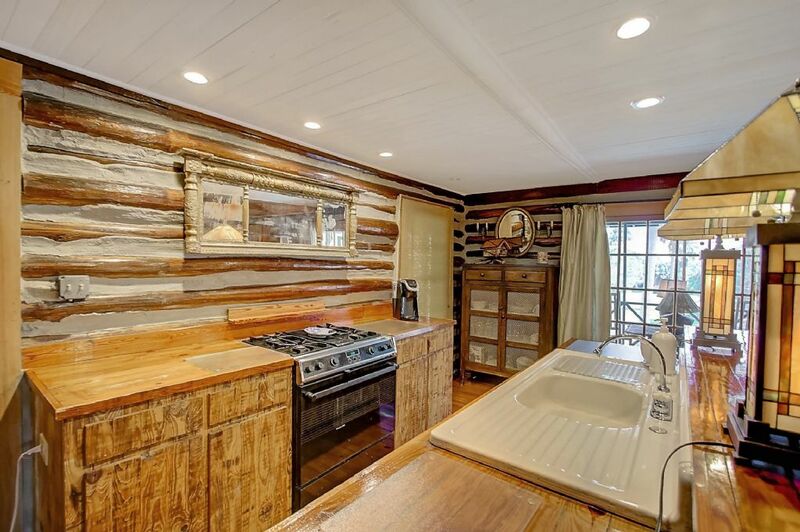 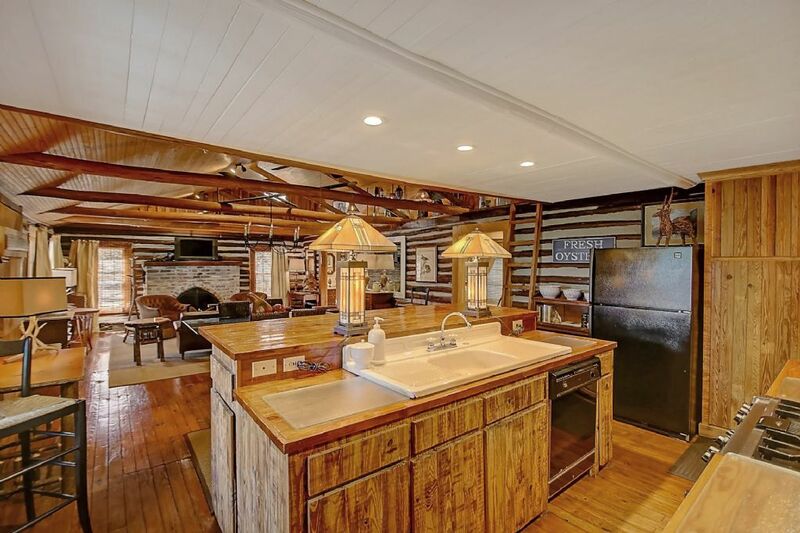 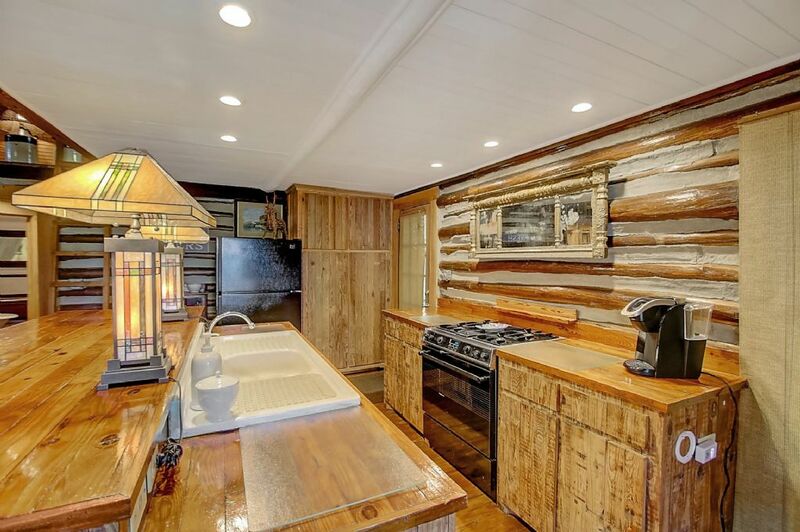 This quaint log cabin has been wonderfully maintained and upgraded to have all of the modern conveniences while preserving it's Folly charm. 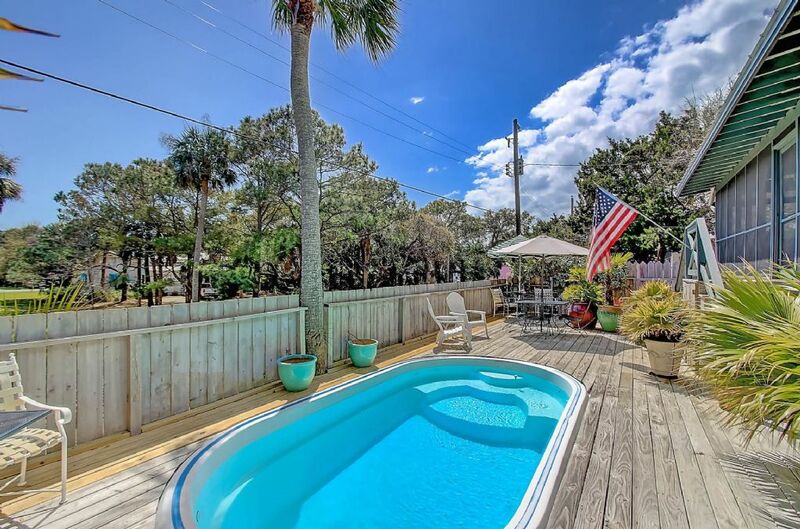 The home includes large screened in porch, perfect for catching ocean breezes and private pool to escape the summer heat. 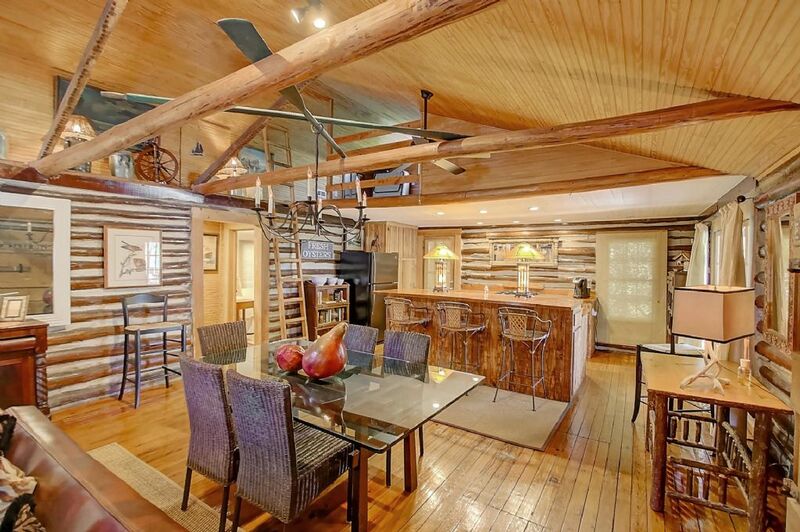 This remarkable home will be a repeat family destination for years to come. 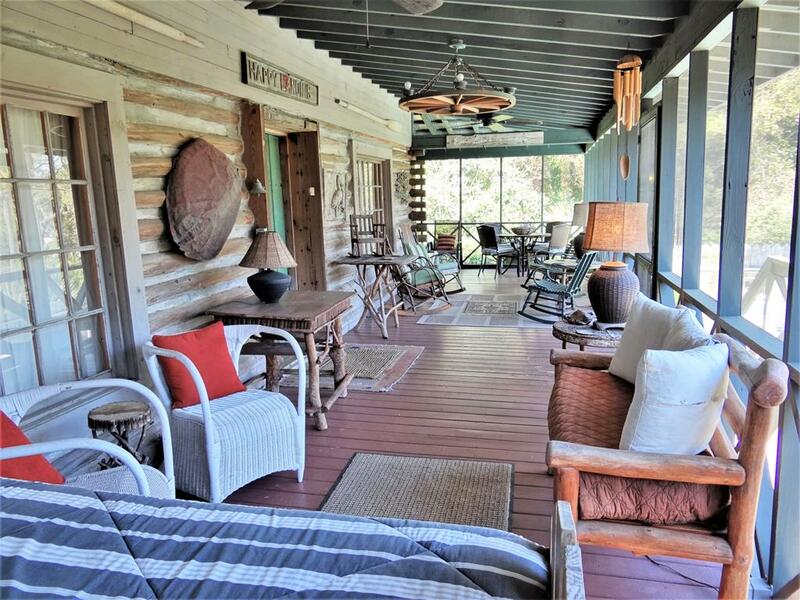 The outdoor living area at this property is truly hard to compare. 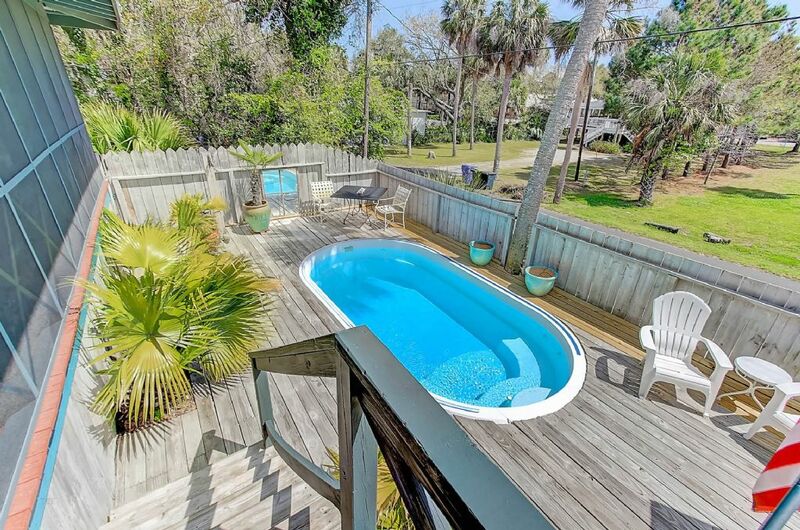 Private pool is perfect and cooling off after a long day in the sun. 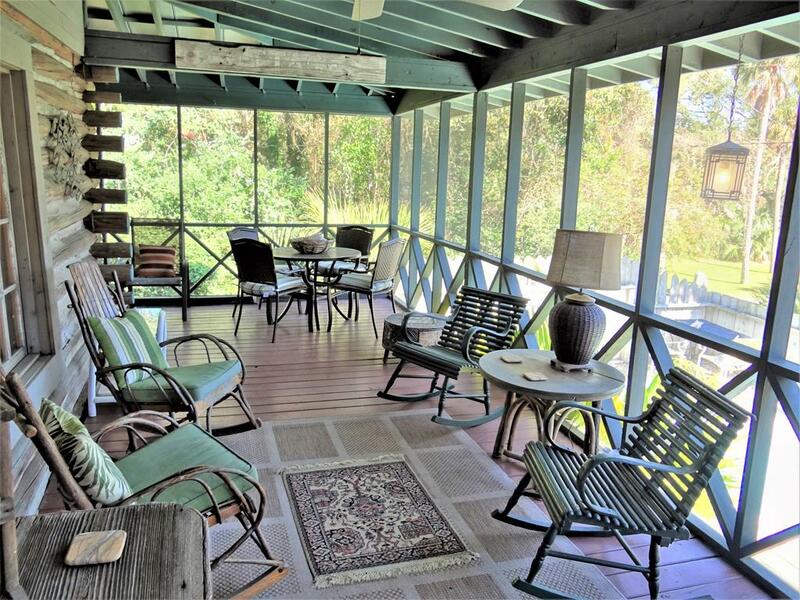 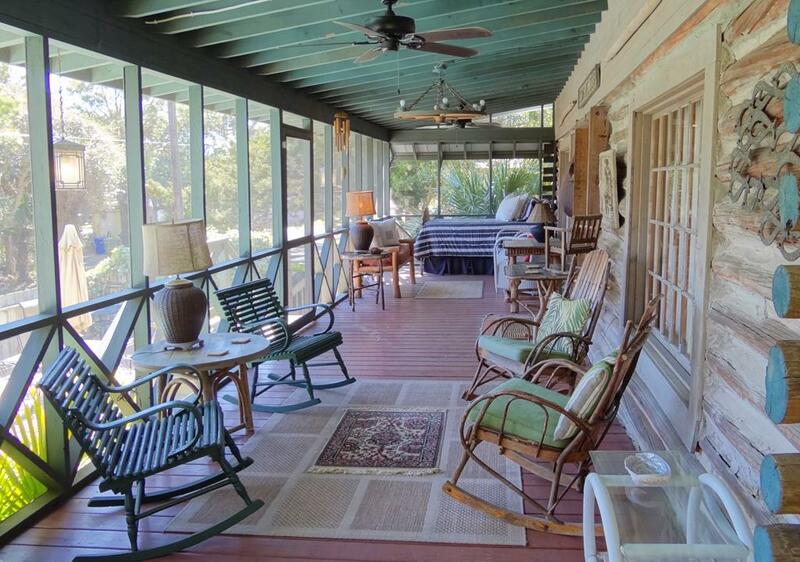 The expansive screened in porch offers a plethora of options for outdoor enjoyment. 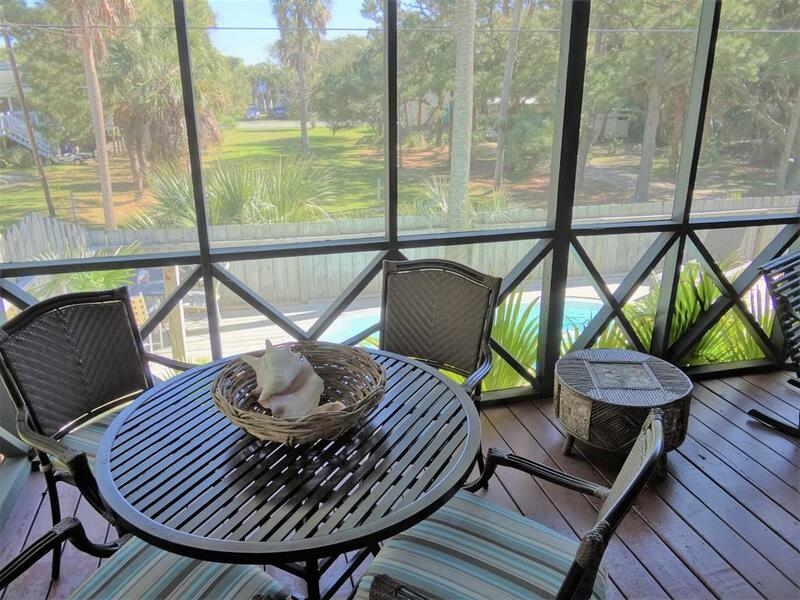 You can dine on the porch, enjoy your morning coffee or simply take an afternoon nap while enjoying the ocean breezes. 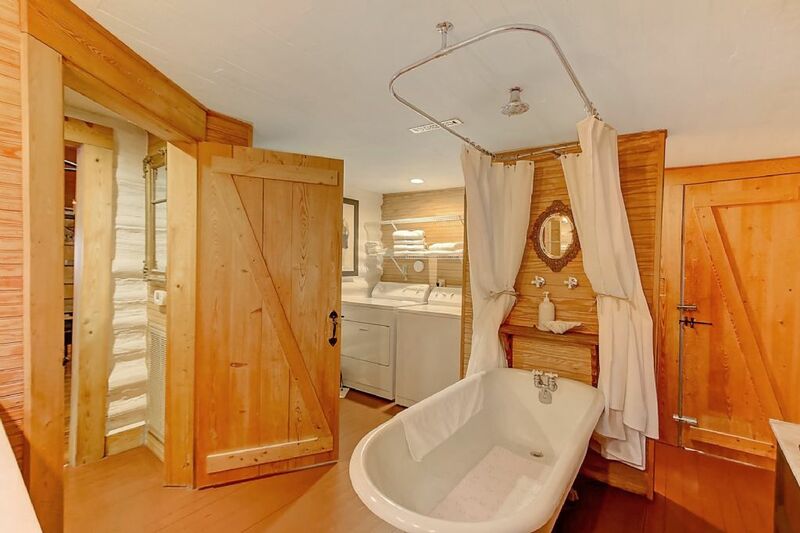 Outside also features a custom outdoor shower to wash off after the beach. 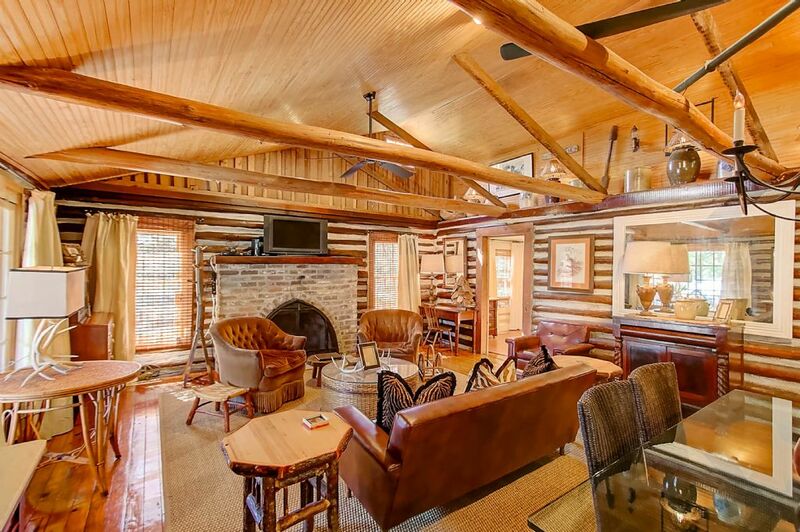 Inside the home the rustic cabin showcases the beautiful exposes beams and top notch craftsmanship. 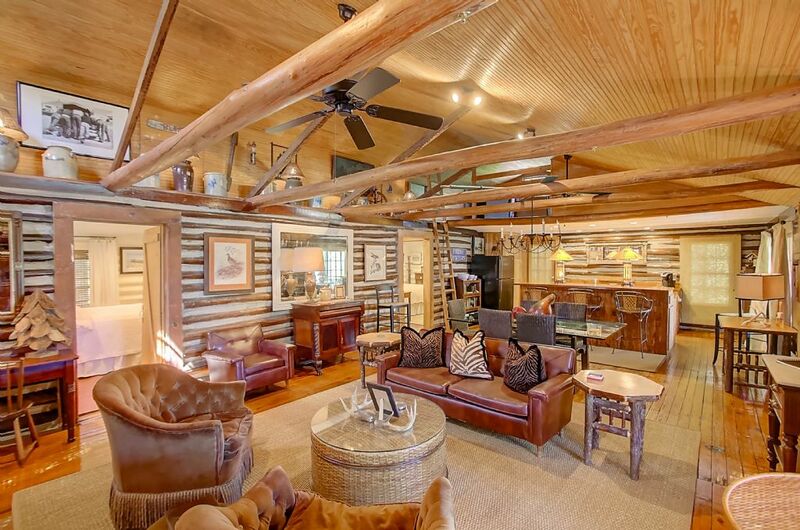 The open floor-plans includes the living area with flat-screen TV and kitchen area. 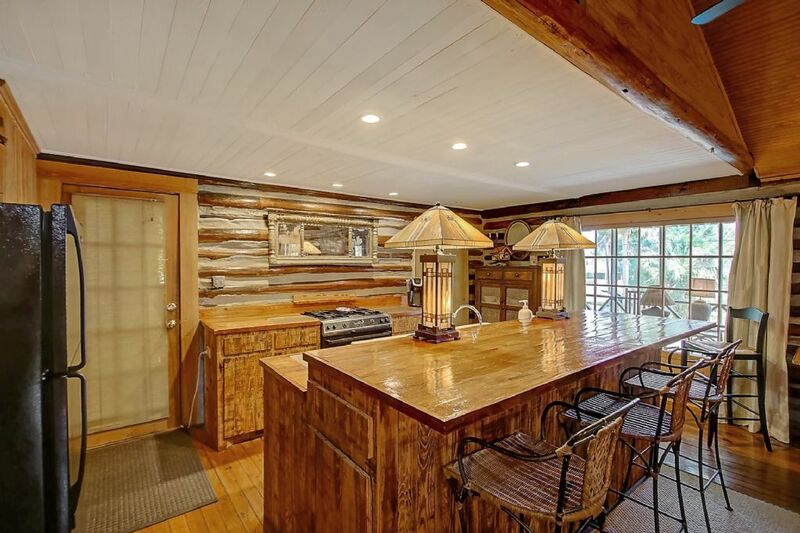 Kitchen area includes all of the modern conveniences you would expect in a vacation rental. 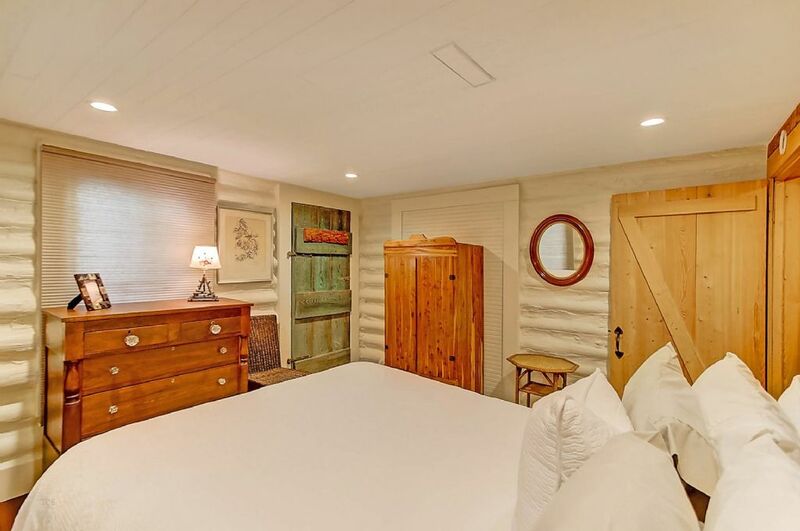 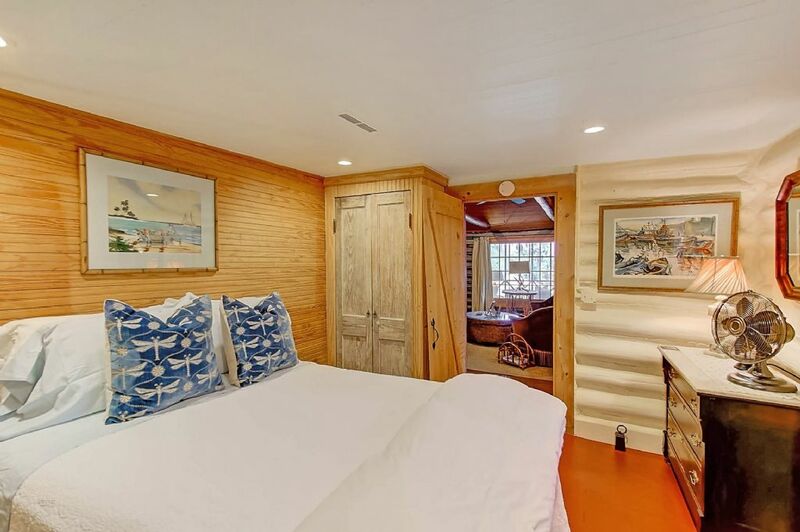 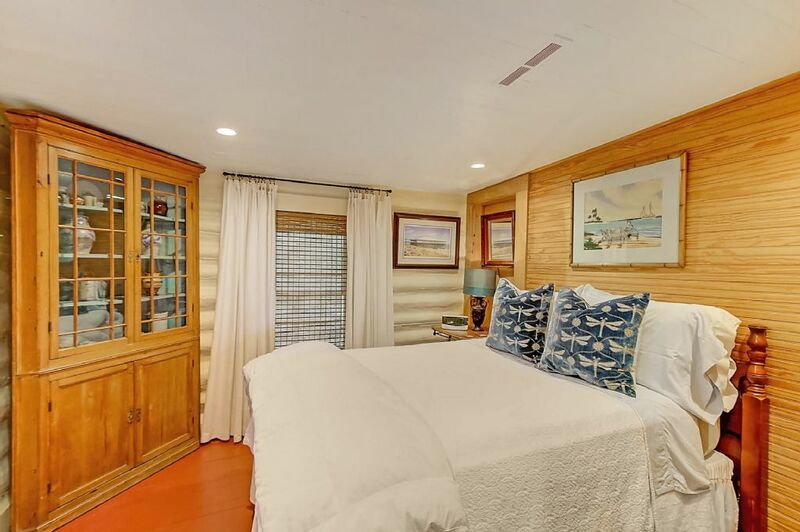 The cabin includes two bedrooms, one with full size bed and one with queen bed. 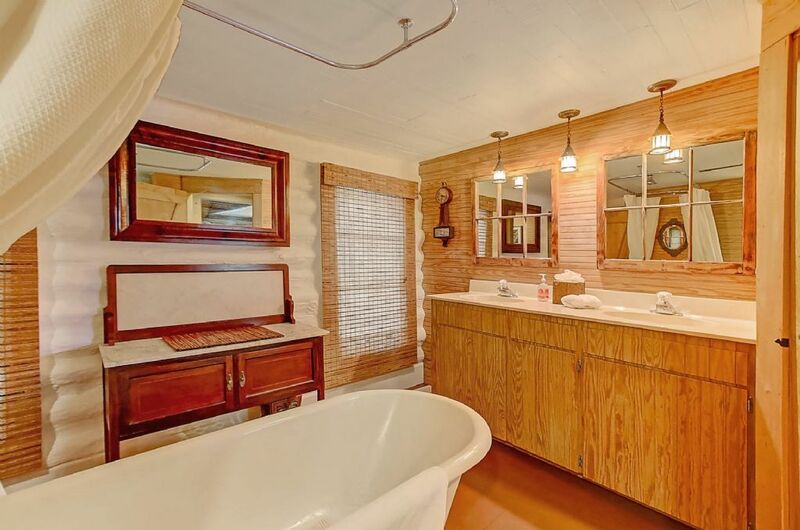 The only bathroom in the home is accessible from the living area. 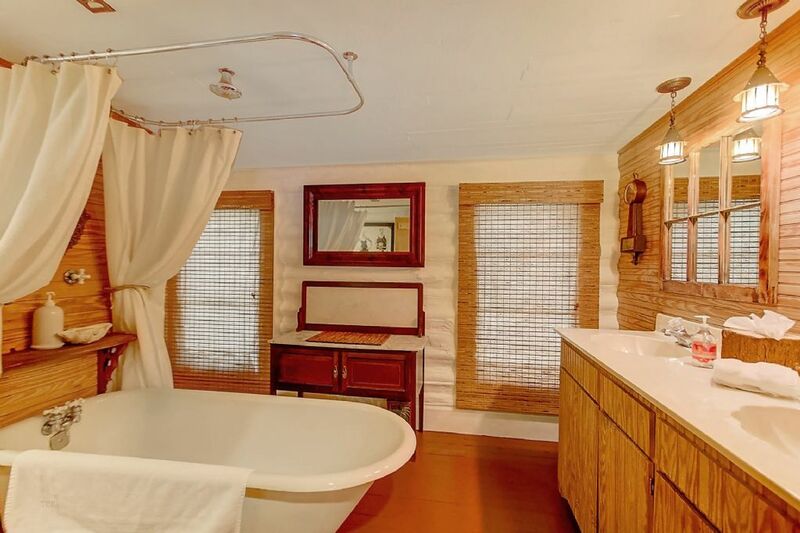 Bathroom includes claw-foot tub with shower. 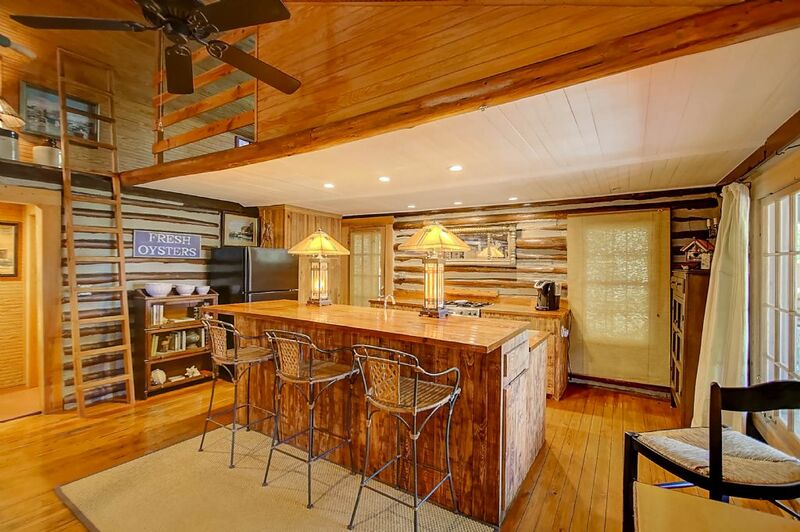 Please see our attached floorplan for layout. 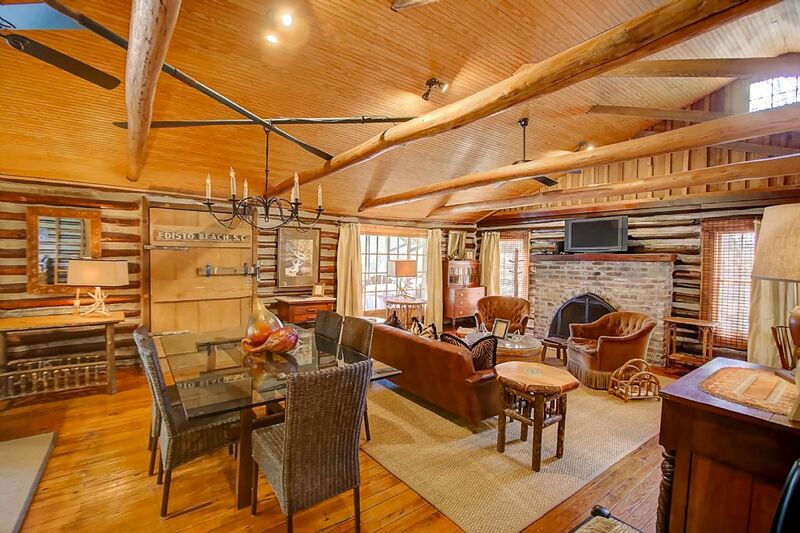 Fireplace NOT for guest use. 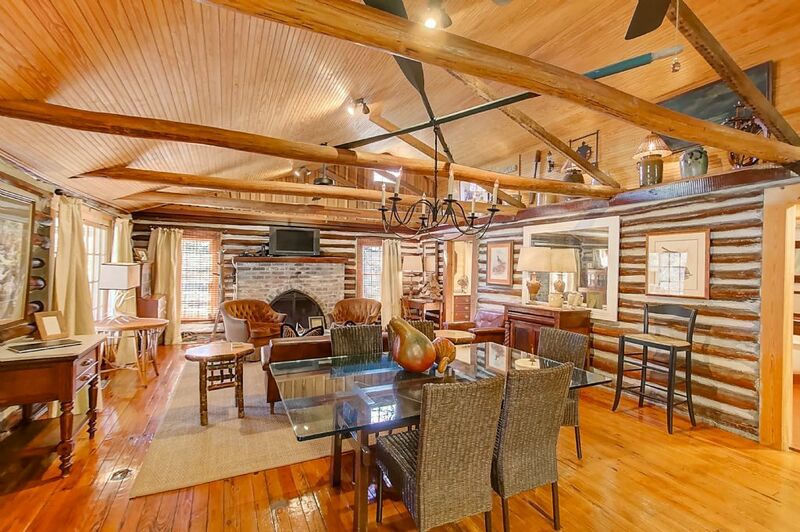 Home includes Wi-Fi and cable in the living area. 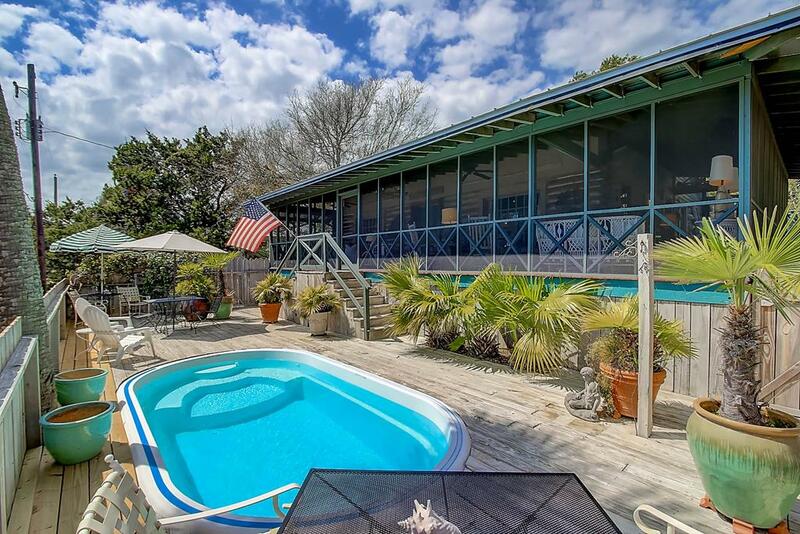 Pool is not able to be heated. 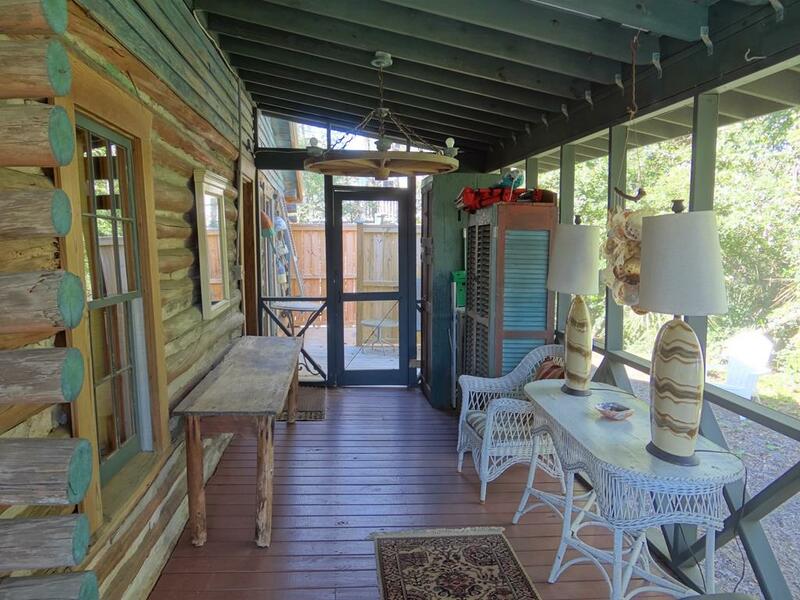 Home is strictly not pet friendly and non-smoking. 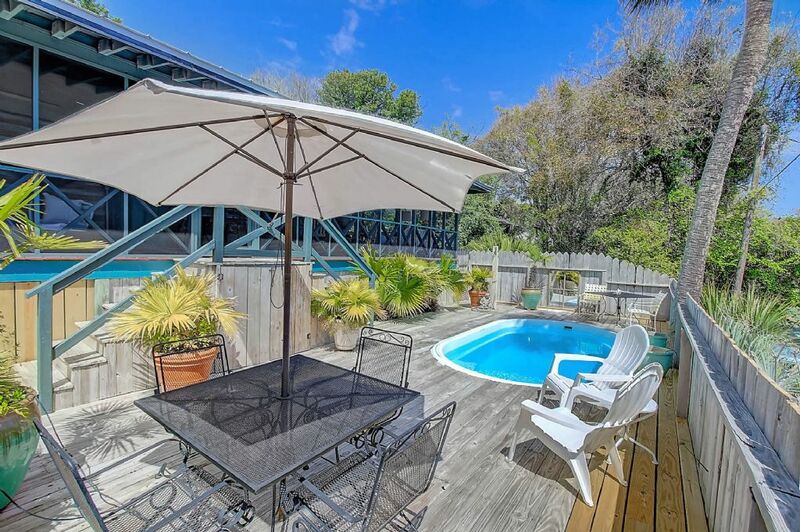 Guest must be 25 years of age to rent and occupancy is limited to 4 adults. 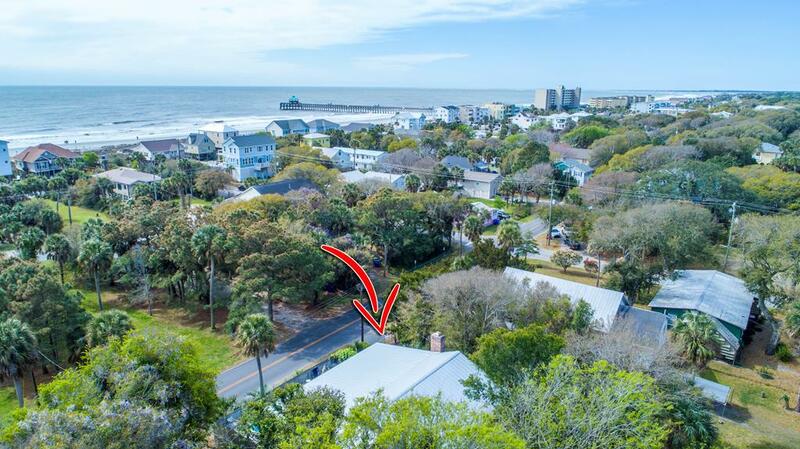 Please note that there is no dedicated parking for the property, parking is found first-come first-serve along East Cooper. 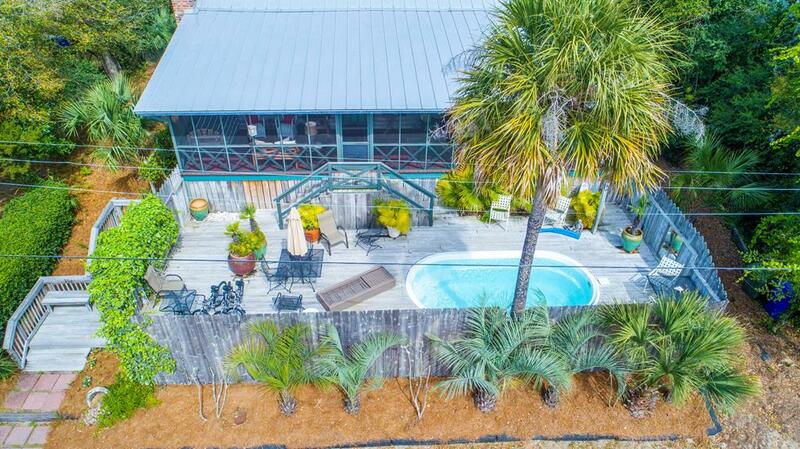 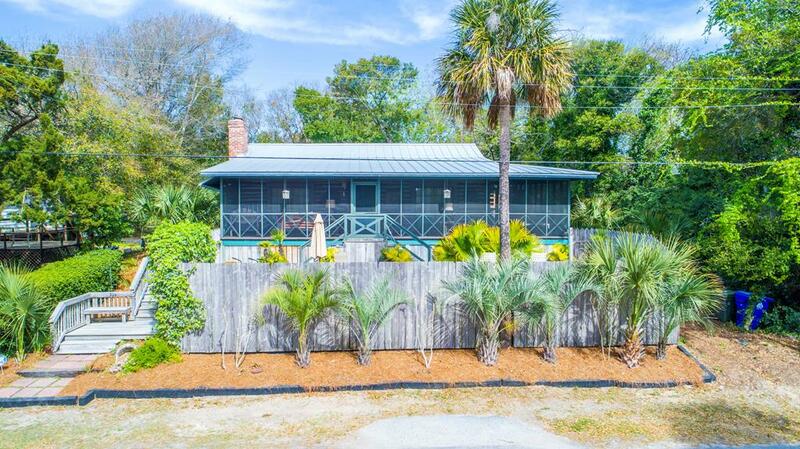 Call Carolina One at 843-588-1212 to book your vacation at "Happy Landing" today!